This homemade brightening face mask will work hard to slough off dead skin cells, hydrate,and leave skin bright and glowing! Say goodbye to dull, drab skin once and for all! 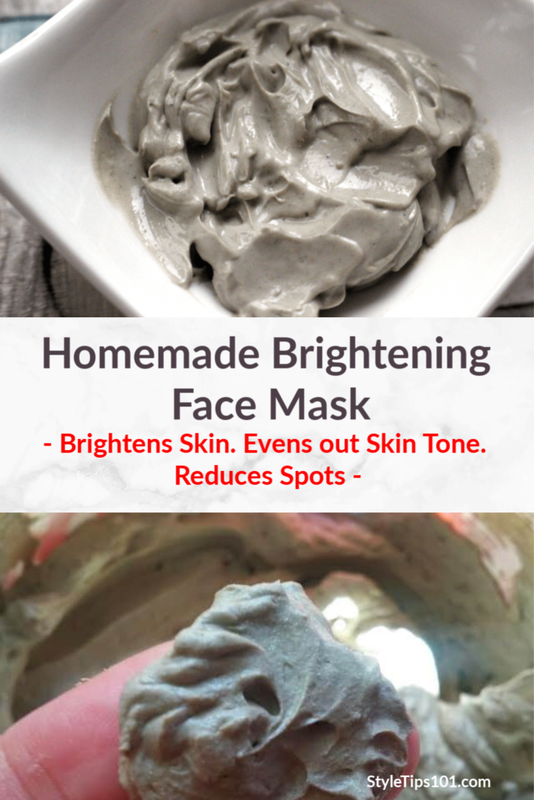 Made entirely from natural ingredients, this homemade brightening face mask is easy to make, and will enhance your skin’s natural skin tone after just one use! Especially if you suffer from dark spots, acne scars, and uneven skin tone, this face mask and scrub is the perfect remedy! This recipe uses some less commonly known ingredients such as brown rice flour and orris root powder (more on that later), but these ingredients deliver! We’ve tried this mask and it has made a HUGE difference in our skin! Skin tone was brighter, spots were smaller, and overall skin health was improved! Pretty self explanatory, but brown rice flour is exactly what it sounds like: finely ground up brown rice kernels! It contains a high amount of vitamins C and B5, which are actually naturally brightening. Brown rice flour also helps absorb excess sebum in the skin (oil), and is therefore great for those with oily/acne prone skin. If possible, try to use organic brown rice flour! You can find rice flour at your local grocery store! 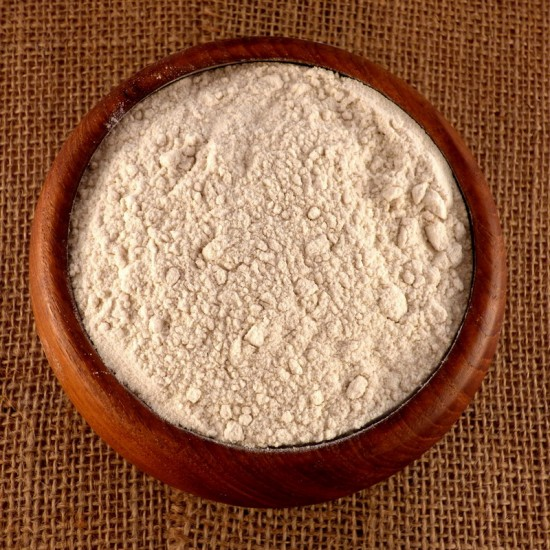 This plant based powder is made from the orris root which is the root of the Iris flower! This finely ground powder has been used for centuries for its medicinal properties, and in this instance, can help with cleansing and detoxifying the skin. If possible, try to use organic orris root powder! You can find orris root powder online such as on Amazon, as well as your local health store! This floral water is made from chamomile flowers which is extremely beneficial for the skin. It will help to reduce redness, calm the skin, and also hydrate. Look for a hydrosol (flower water) that is 100%, meaning it should ONLY contain water and chamomile flowers. To a small bowl, add all of the ingredients. Stir well until a thick paste forms. If the mask is too thick, add a little more liquid. If it’s too liquidy, add more flour. Apply the mask to (cleansed) skin and leave on for 10 minutes. Be sure to remove right before it starts to dry out. 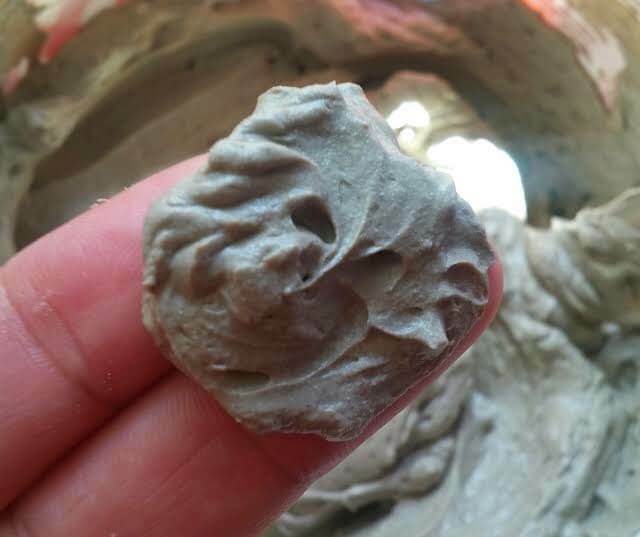 Wet your fingers and scrub the mask into the skin for about a minute and rinse off completely. Pat dry and follow up with a DIY toner and your daily moisturizer. This face mask is safe to use once or twice a week!